WASHINGTON -- A former U.S. Air Force counterintelligence specialist who defected to Iran despite warnings from the FBI has been charged with revealing classified information to the Tehran government, including the code name and secret mission of a Pentagon program, prosecutors said Wednesday. 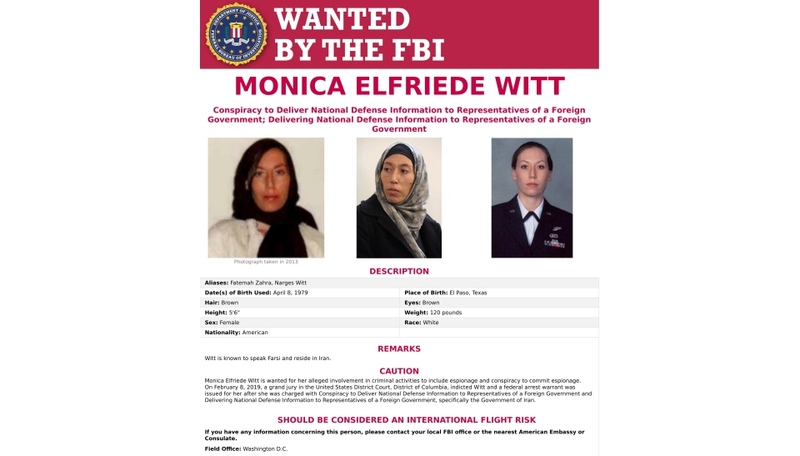 "Once a holder of a top secret security clearance, Monica Witt actively sought opportunities to undermine the United States and support the government of Iran -- a country which poses a serious threat to our national security," said FBI executive assistant director Jay Tabb, the bureau's top national security official. Witt first travelled to a "Hollywoodism" conference in 2012, when she appeared in Iranian television videos in which she was identified as a former U.S. service member with critical views of America. 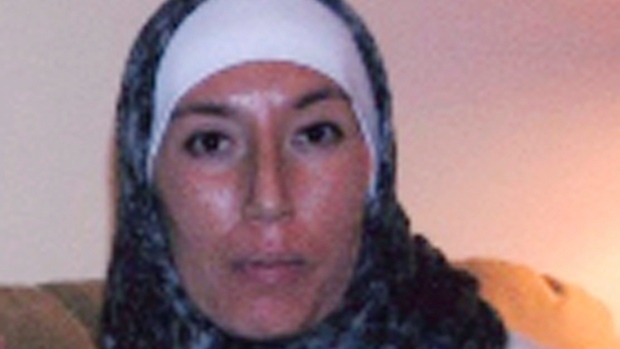 She was then warned by FBI agents that she was a potential recruitment target for Iranian intelligence. Later that year, she was hired by an individual -- who is not named in the indictment but who professed to have ties to high-level officials -- to help in the filming of an anti-American propaganda commercial. She returned to another conference in 2013 and remained in Iran. This time, with free housing and computer equipment, she went to work for the Iranians, supplying information about a classified Defence Department program and assembling into "target packages" research she conducted into the lives, locations and missions of former colleagues, the indictment said. The accused hackers exploited that research, contacting Witt's former colleagues through imposter Facebook and email accounts. Their goal was to induce the targets to click on links and attachments containing malicious software that, if opened, could compromise their computers and networks. In 2012, for instance, the person wrote her, "should i thank the sec of defence...u were well trained. Witt replied with a smiley emoticon, "LOL thank the sec of defence? For me? Well, I loved the work, and I am endeavouring to put the training I received to good use instead of evil. Thanks for giving me the opportunity," the indictment says. Using a typed smiley-face, Witt wrote in a later message, "If all else fails, I just may go public with a program and do like Snowden" -- a reference to Edward Snowden, a former NSA contractor who leaked classified U.S. information.